Already since Munich has been founded in the year 1158 the Marienplatz represented the heart and center of this beautiful city. Throughout the centuries fountains, memorials and new buildings have been added, in the year 1888 followed the street railway. Today the Marienplatz is the center point between Isartor, Karlstor and Sendlinger Tor. During WWII it was badly affected and many buildings around Munich’s Marienplatz were destroyed – many ruins had to be demolished. 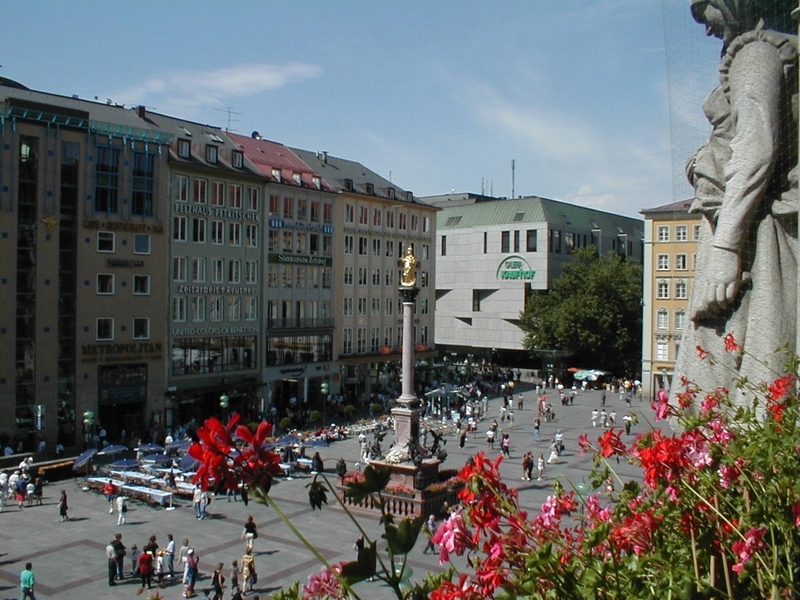 Only in 1972 the Marienplatz got a new meaning because of the completion of the pedestrian area construction. It is now the center of the pedestrian area in Munich and venue of many seasonal special features like the annual Christmas market and the famous chime of bells of the New Townhall, which takes places every day at 11 am and 12 am and from march till october at 5 pm. 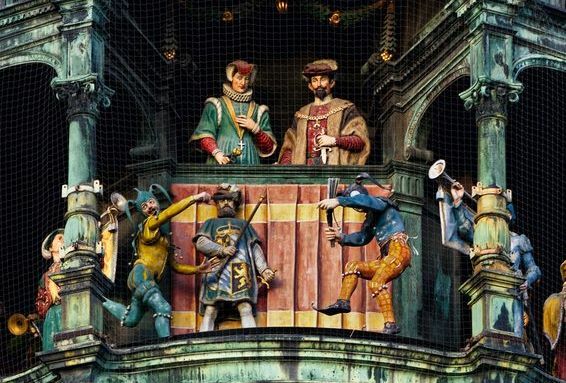 The restaurant „Zum Ewigen Licht“ is part of the enormous, colorful history of the Marienplatz and is now restored as Wildmosers Restaurant-Cafe at Marienplatz, a beautiful reminder of the birthplace of „Weißwurst“ (white sausage).